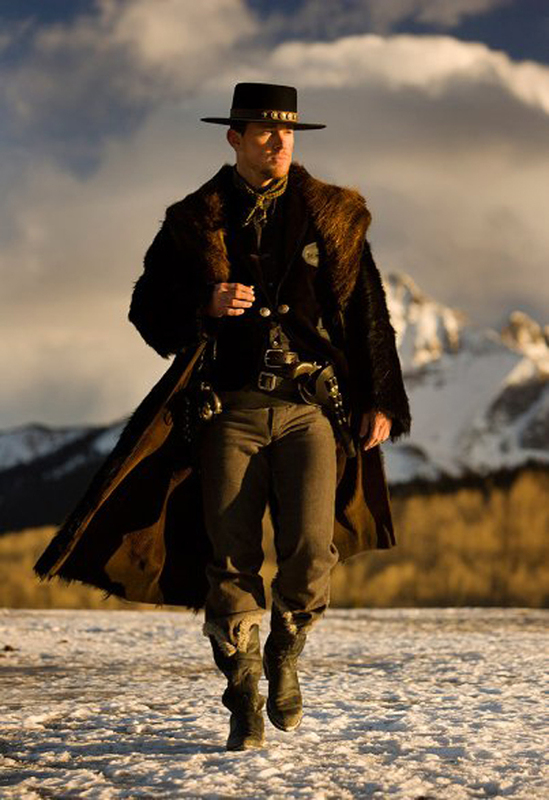 Each of the Hateful Eight has a unique character that one would love to explore deeper into their past. From Jennifer Jason Leigh’s tobacco chewing addiction to Goggins’s obsession of the ‘good old days’ of the pre-Civil War South; they are all wonderfully ludicrous. 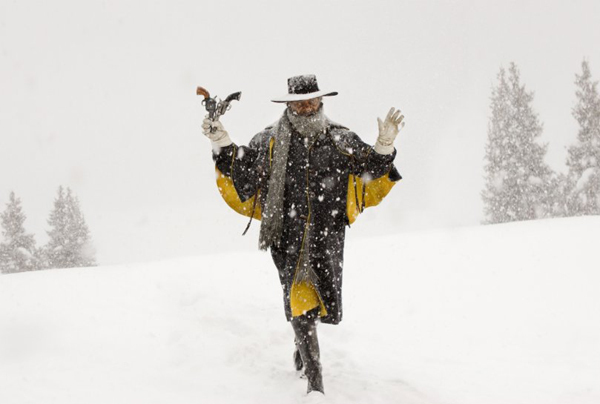 Hateful Eight is, in essence, a Kammerspielfilm. A plot centered on a certain group of characters, trapped within the confines of a single room (or in this case, a cabin). Every gesture or reaction has consequences and in the end, all bets are off. What’s great about almost all Tarantino films is the bizarre mixture of snippy dialogue, eccentric characterisation and jarring imagery. 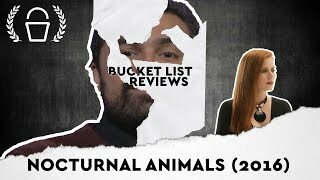 He is unapologetic to his critics for his use of violence or foul language but presents them in such a delicious, dark, humoristic fashion that chances are you will chuckle at its absurdity. 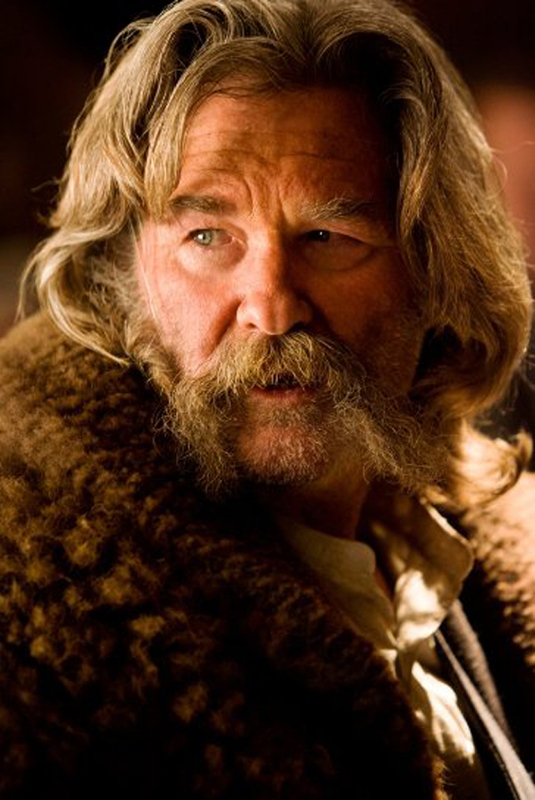 Each of the Hateful Eight have a unique character that one would love to explore deeper into their past. 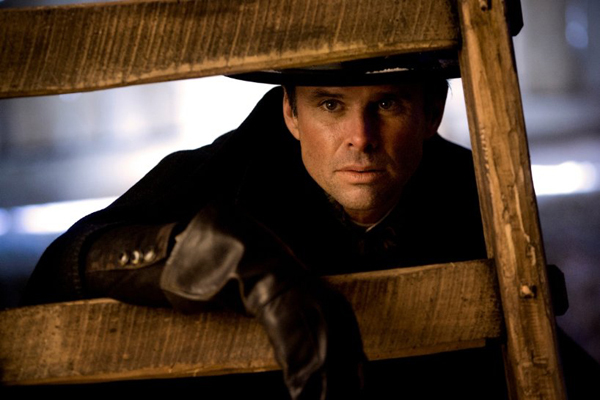 From Jennifer Jason Leigh’s tobacco chewing addiction to Goggins’s obsession with the ‘good old days’ of the pre-Civil War South; they are all wonderfully ludicrous. 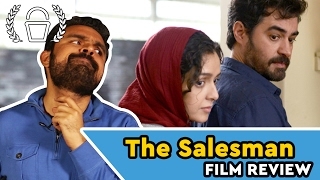 However, the problem of the film lies within its own narrative structure. 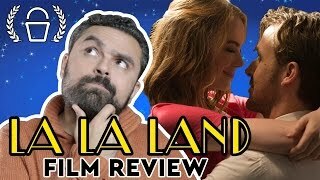 The film clearly lingers on every scene a bit too long and thus the audience is not allowed to assemble the puzzle of a particular scene within their own heads. 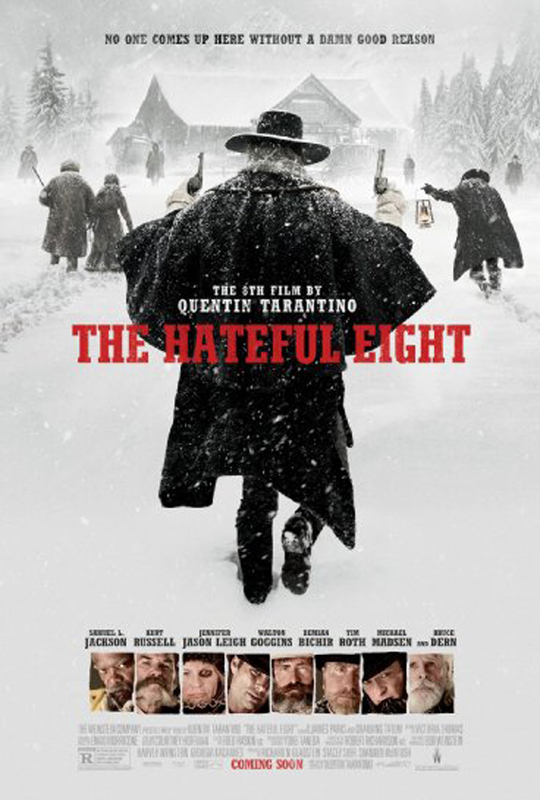 This might be due to the fact that Tarantino is clearly too in love with his own writing. 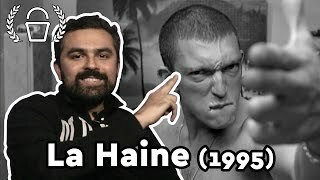 While his previous films like Pulp Fiction(1994) and Jackie Brown (1997) had displayed his poignant yet understandable character motivations, his later films like Django Unchained (2012) and The Hateful Eight tend to muddle those motivations by over explaining them. It’s an age-old argument in cinema that visuals should reflect the storytelling and not the other way around. 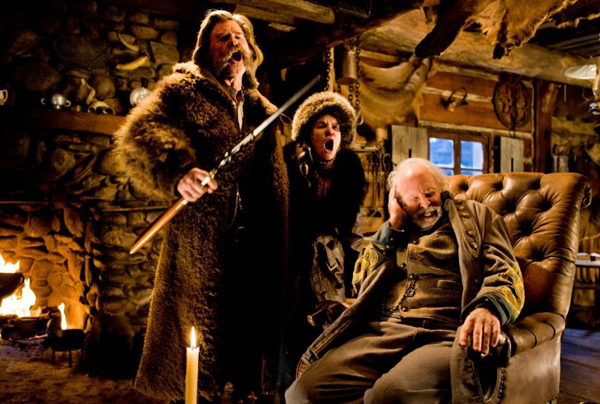 The absence of certain reaction shots of other Hateful Eight members during crucial dramatic moments within the cabin are also clearly jarring and might take the audience out of the moment. If guns are blazed, certain heads should turn or a level of concern begs to be displayed. They are all somehow conveniently absent. 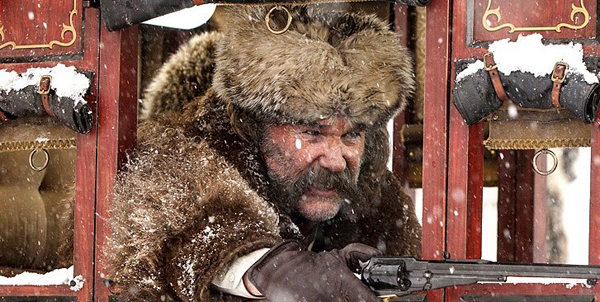 But even with its obvious flaws, The Hateful Eight shines when it needs to the most. The scenes involving the letter and the tale of Jackson’s encounter with a certain Grayback fellow are undoubtedly hilarious and make you feel a tad bit guilty for laughing at its serious subject matter. Other than the loose whodunnit plot, the film thrives wonderfully through its production design. 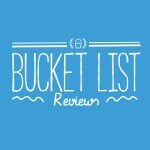 The white Wyoming landscape, the blue coffee pot, the broken cabin door; they are all just as important features as the ensemble cast of this film. 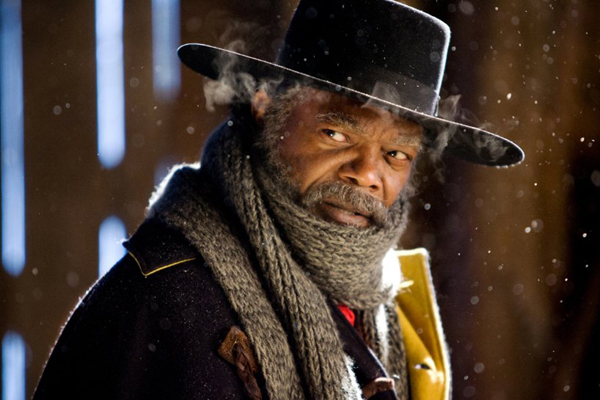 If Django Unchained was Tarantino’s homage to the Western genre then The Hateful Eight is a tad bit unclear as to what it’s aiming for. It starts off as a traditional Western and ends as a murder mystery. This tonal shift might be bothersome for some but it never takes away the credibility of the film’s ludicrous yet hilarious nature. 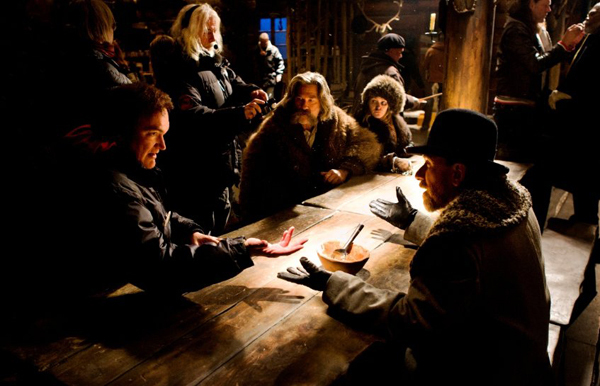 Since his first film, Tarantino has clearly grown as a filmmaker and it’s his relentless energy to always experiment and explore the landscape of the cinematic language that is commendable and appreciated. 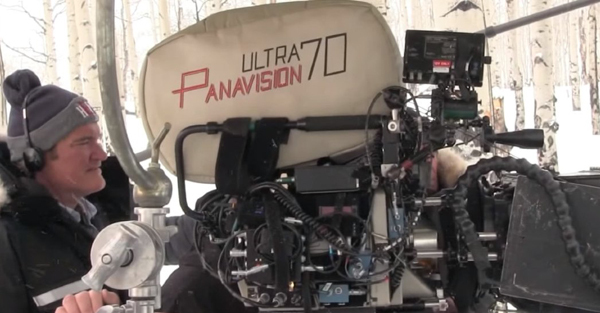 His love for cinema is clearly visible through his work. 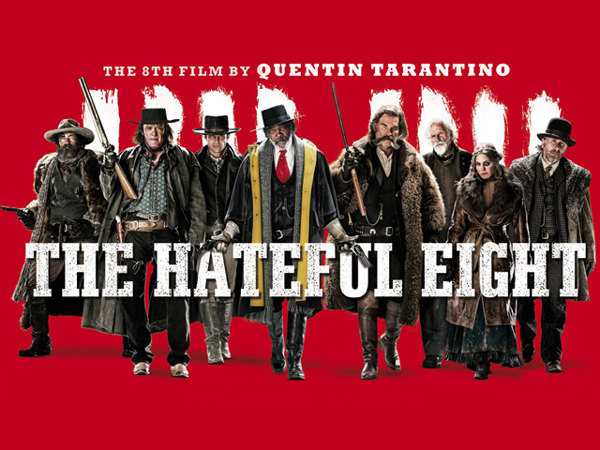 Even if it’s a flawed Tarantino film, it’s always worth a watch.